We began Day 2 late. After indulging in so much food our first day in Southern California, we slept in. 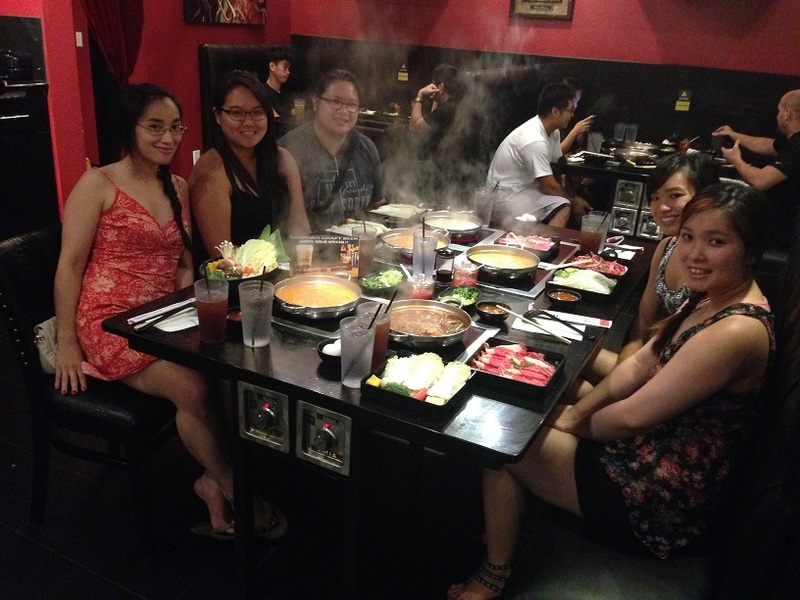 When we were finally ready to explore Southern California, we decided to head over to Jazz Cat to try another hot pot spot. It was over 90 degrees outside, but we’ve heard good things about this place so we decided to go. I actually liked this spot more than Boiling Point. I like that there were more options in soup bases and that you get to add your ingredients. That way your meat and vegetables can be cooked to your liking when you want it to be. I love having an individual hot pot. It means you can order whatever you like. 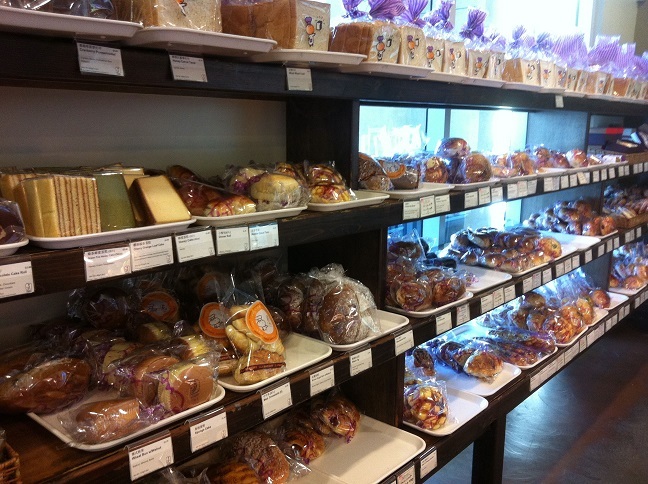 After lunch, we walked over a few stores to buy pastries as a gift for my uncle and my Southern California cousins. It’s always nice to buy gifts for people you’re visiting. JJ Bakery had huge selection of Asian style pastries. 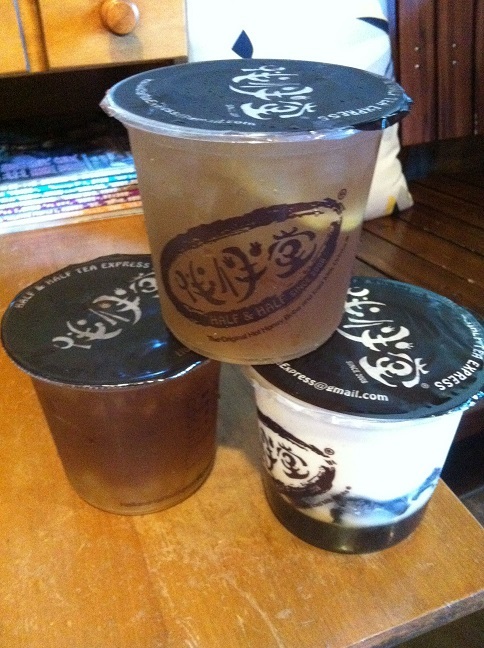 We also visited Half & Half for pearl tea. They’re well known for their iced flavored milk. Afterwards, we met up with my uncle and explored Old Chinatown for random little items my parents wanted like cheap pots and pans. 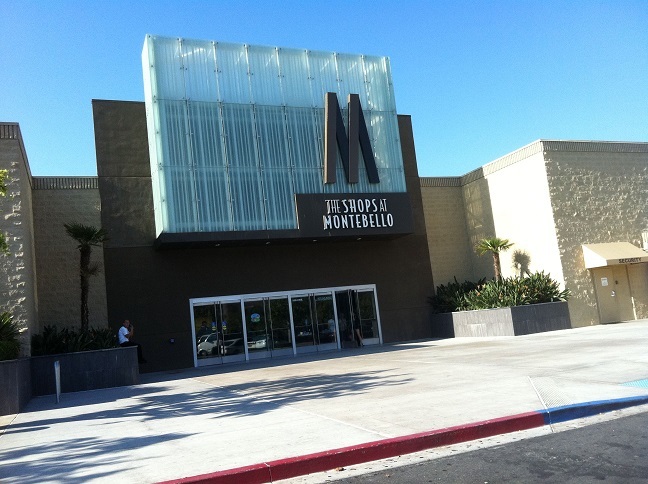 Explored the shops at Montebello. Then it was dinner time again. My Southern California cousins wanted to take us to a trendy Korean BBQ restaurant located in downtown LA called Road to Seoul. 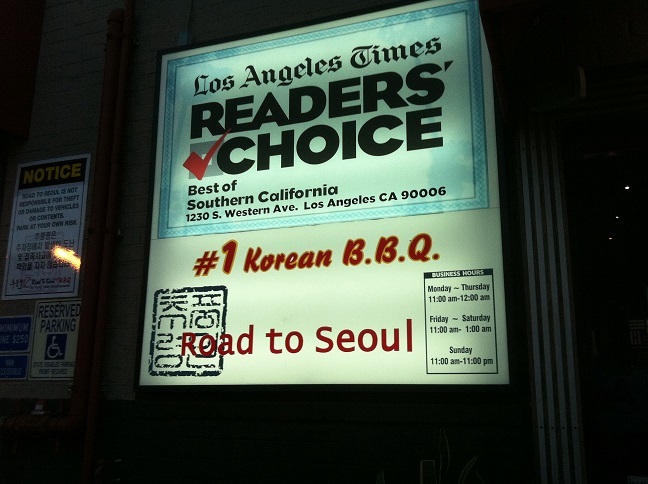 I have never had Korean BBQ before, and this spot was especially different. The restaurant is constantly crowded with people waiting in line for seats. They played loud club/EDC music while people grilled and ate their meal. While I normally love Korean food, I found that I’m not a big fan of Korean BBQ. This place was all you can eat, but I discovered I can’t handle so much meat. And that’s all that it really was. 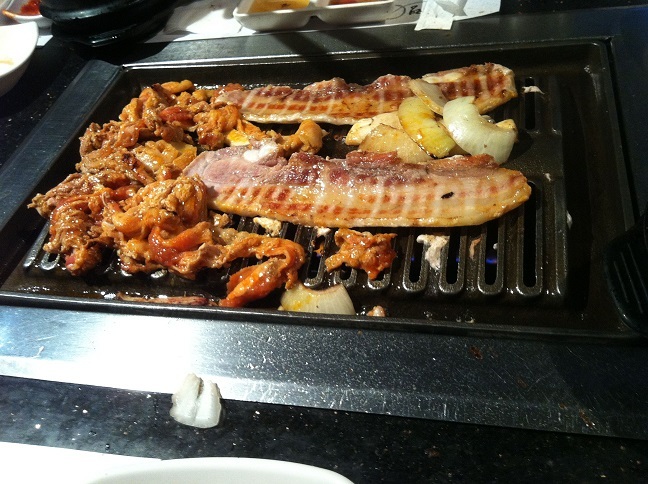 Plus Korean BBQ is usually beef, and I don’t eat beef, which made things so much more difficult. As if our all you can eat meal weren’t enough, we opted to make one more stop for dessert, Guppy House, which is famous for their shaved ice. 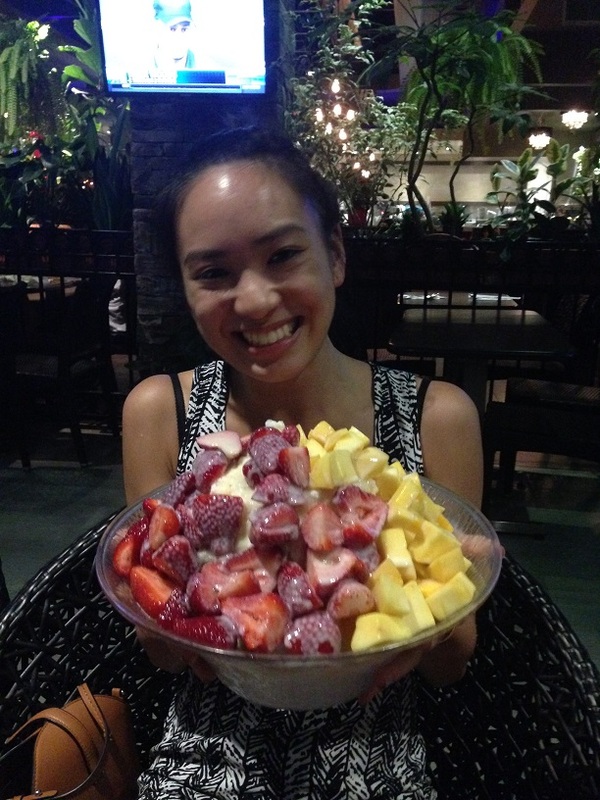 The “small” bowl of shaved ice was huge. It’s enough to serve at least a dozen people. 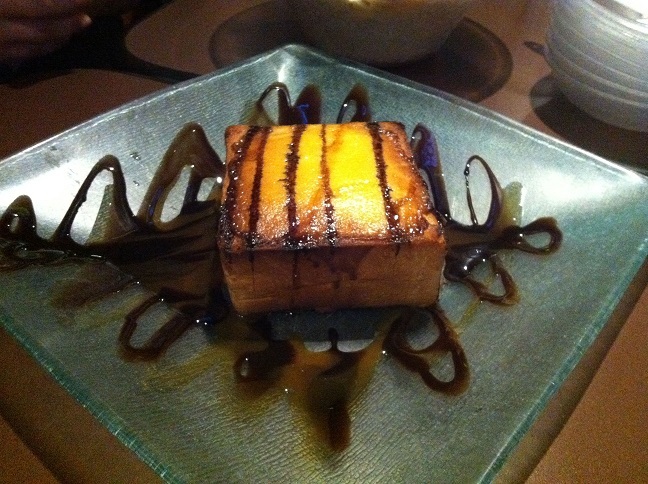 We ordered strawberry mango shaved ice and honey brick toast. I highly recommend this place. And I would have enjoyed it more if I weren’t so full from the BBQ. See? 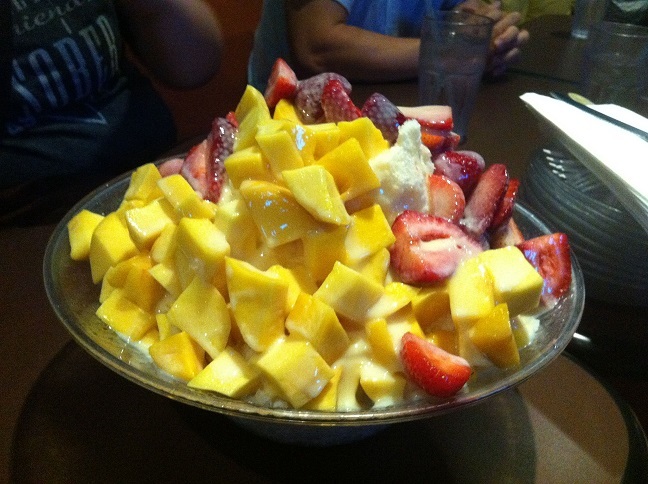 This is how huge the “small” bowl of shaved ice is. My sister had trouble holding it. Hope you enjoyed seeing some of my adventures in LA. This entry was posted in Life of a Wallflower and tagged adventure, dessert, Food, life of a wallflower, Los Angeles, Southern California, vacation, wallflower in LA. 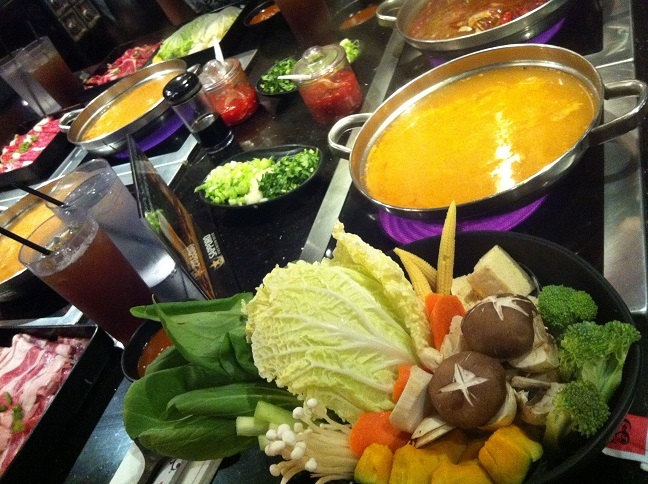 The hot pot looks like Shabu-shabu: one of my favorite Japanese dishes. Is it? The dish with shaved ice looked like it had milk or cream on it too. I love strawberries, however, have never had Mango. We saw some in the store, unfortunately do not even know how to prepare them. My husband is more adventurous than I am. Maybe you can show us how to prepare them? You’re having SUCH a blast in my neck of the woods–welcome, girl! 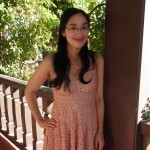 I don’t know if my last comment got through from your previous post, but we must be clones/twins/weird identical somethings, because I had no idea you were from SJ and now down in LA. We need to talk about this serendipitous encounter. I hope you’re getting Diddy Riese right down here on the west side, ho ho! Awesome! I love your blog.